Our friend and partner University of Trento SPIE Student chapter hosted the 6th International Symposium on Optics and Its Applications (Optics 2018) at the end of February, 2018. Latvian girls whose hearts belong to optics were happy to attend this event in Povo-Trento, Italy. 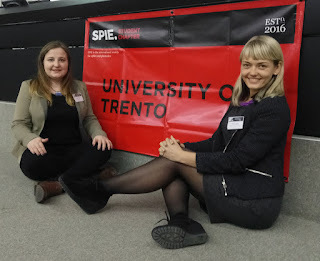 University of Latvia SPIE Chapter members Marta and Brigita are sharing their insights.